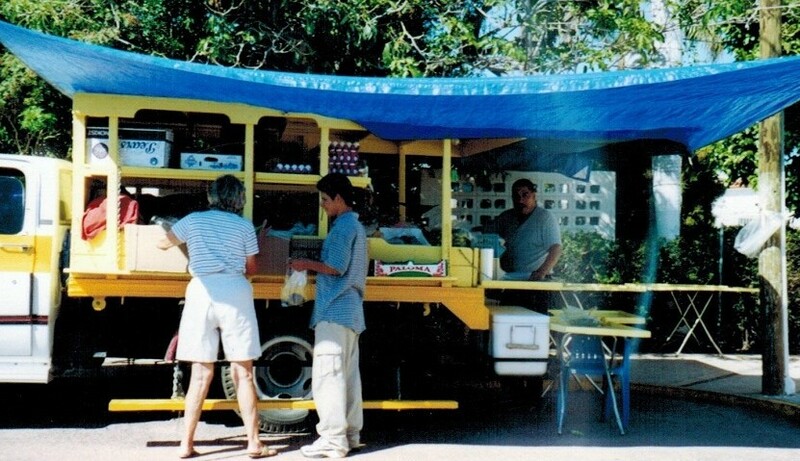 In 1982, a 20 year-old entrepreneur decided to make his living in San Carlos by selling fresh fruits and vegetables from the back of his bright yellow Chevy truck. His name was Tony Vazquez, and back in “the day”, he drove his grocery-laden truck from neighborhood to neighborhood. He was, in fact, the first food-delivery service in this little town. 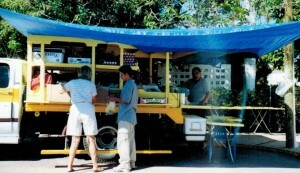 Pictured on the right is Tony and his fruit and vegetable stand in 2001. Luckily for San Carlos, Tony found his passion and calling in the food services industry. And today, 33 years later, Tony has expanded his business to meet the needs of the whole community. Introducing “Tony’s Place”, a one-stop shop for all your fresh food needs. 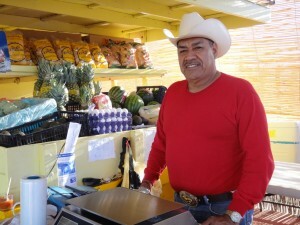 From home-made salsa bandera, guacamole, and ceviche; to meats, chicken, fish and shrimp; to dairy products like cheese, sour cream and butter; canned goods, baked goods, nuts, and specialty items that you can’t find in Mexico, Tony’s Place has a wide variety for you to choose from. Looking for fresh organic produce? Tony’s is the place to get it. Choose kale, Swiss chard, yellow grape tomatoes; and many herbs and seasonings like mint, basil, rosemary, dill, watercress and more. Ask at the store for this locally-grown 100% organic aquaponic produce products. Tony’s Place is a family affair. His wife Priscila and his daughter Monica are familiar faces in the kitchen, and his son Osvaldo manages the Cocos el Valdo bar near the Castaway Kids’ Thrift Store. This is a popular place to buy Mexican seafood cocktails. Location: on the road towards MarinaTerra Beach Club at the entrance to the Caracol. Days & Times Open (hours of operation): Open Every Day, from 9:00am – 8:00pm. Have you shopped at Tony’s Place? What did you think?